Revealing his songwriting abilities, ToppDogg’s Kidoh released the album preview for his first EP album, Little Album. 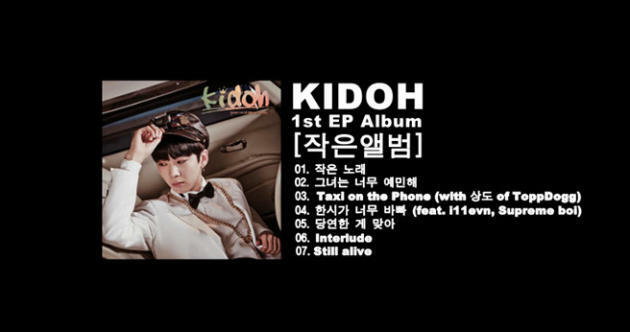 The album preview was released on September 26, featuring short snippets of the seven songs in Kidoh’s new album. Each track included information on the song production, spotlighting that Kidoh had written every song on the album. ToppDogg’s Sando, i11evn, and Supreme boi were also listed on the album as special feature artists. The album will be released on September 26. - [Mwave shop] MEET&GREET ToppDogg and Get Signed ‘AmadeuS′ Deluxe Edition Albums and More!